Do you long to create a luxury bedroom of your dreams? Top Tips in my guest post today. Enjoy! The bedroom is the only part of a house which is designated for absolute rest, and because of that it is often the most cherished and private space in the home. The importance of creating an effective bedroom design that works, is to find the balance between keeping the intimacy of the room and eliminating unnecessary elements that inhibit our ability to rest. Many people seem to think that the bedroom should come second, as it is not seen by visitors like the rest of our home. However the bedroom is fundamentally important for the homeowners who spend a significant time trying to relax and sleep well. This is why it is important that the bedroom is everything the owners want it to be; luxurious, sensual, indulgent and heart-stoppingly beautiful. The most important thing with luxury bedroom design is not finding a style, but discovering your style. All bedrooms offer unique creative possibilities; the bedroom should serve as a blank canvas for all the things that you love and want to be surrounded by, let that be some fun cushions, a chair, your favourite painting or your luxurious bed. In a room where you fall asleep each night and wake up in every morning, the colours you choose should also feel personal and special. White and grey hues will keep the room looking fresh and sunny, whilst dark shades on walls and carpets can help preserve that calm and warm environment that some are after. A few quirky accent colours on your favourite pieces of furniture can really help lift the room and give it some personality even with a neutral backdrop. 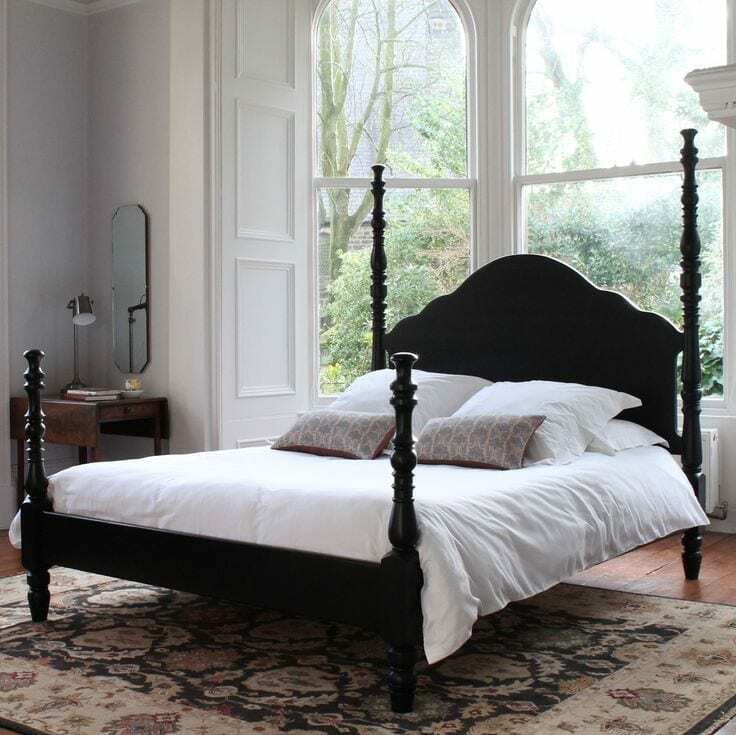 TurnPost offers its wooden four poster beds in any painted colour finish, see the Kingston bed below for example (pictured below), which allows you to pick any colour you have a crush on and apply it to any luxury wooden bed. 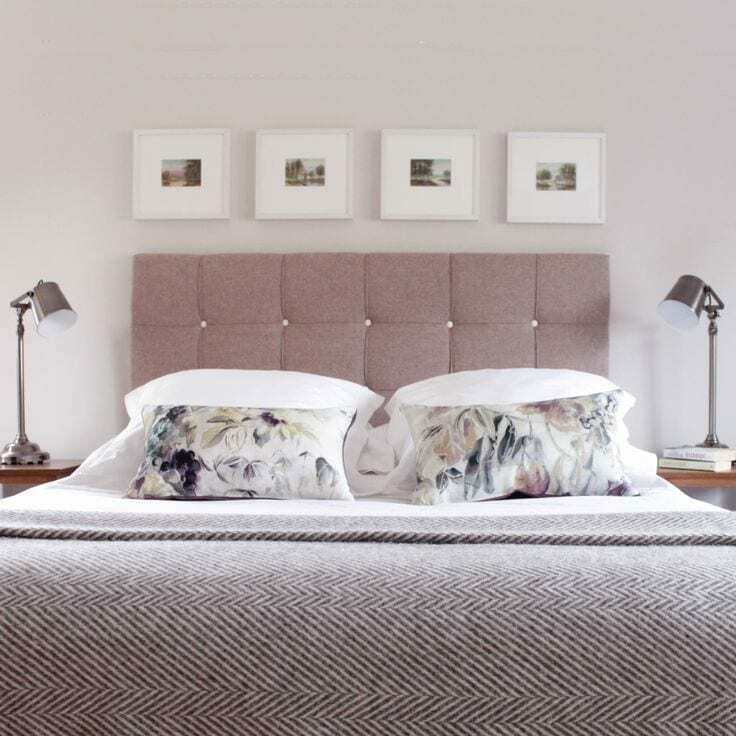 Getting colours, window treatments, furniture and soft furnishings right all contributes to achieving the perfect luxury bedroom, but the bed you choose will always take centre stage. With a stunning piece, like a four poster bed or a luxury upholstered bed you can really make that space feel like a boutique hotel room, which helps you ease into your ‘me time’ making every night feel like you’re on a luxury getaway. If a four poster bed is your desire, fitting a canopy will serve as shelter from the world and provide an intimate, light filtering enclosure for you to curl up in and get your well deserved rest. What are your favourite tips for creating a luxury bedroom? I love what Becky has to say on achieving a beautiful bedroom even when you’re on a budget. Totally agree with finding your style tip. But not sure about the four poster bed as a luxury element. I think you can achieve luxury without it. Luxury is more linked to quality, I think. So true, bedrooms are so important and not always first on our list. For me, the bedroom has to be inviting, stylish and non cluttered, creating a tranquil sanctuary. Beds are vital as they are possibly one of the biggest items of furniture we’ll buy, but they need to be comfy and stylish. The size of the room is a major factor in choosing a bed, but theres so many options, from country, wood, rattan, upholstered. For luxury I would say a beautifully upholstered bed edged in gold or silver would be a great option. Upholstered headboards add texture and warmth and often eliminate the need for much else in regards to wall art.